My front door is right next to this fairly large window. but now I have a new idea...one that even works for every day! And it can be changed with the seasons! 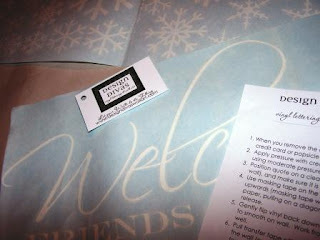 It is a super easy project - you just need the basic supplies and 2 vinyls. I created the template for frame myself...but like I said this was EASY! and continue to update the vinyl as needed with the seasons or occasion! "Hey, mom, we can keep changing up the designs for each season!." 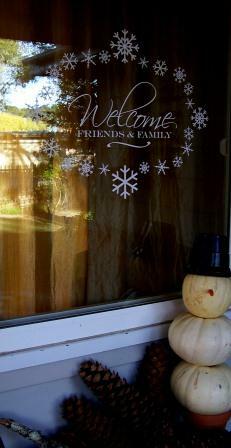 My pumpkin snowman loves his new sign! 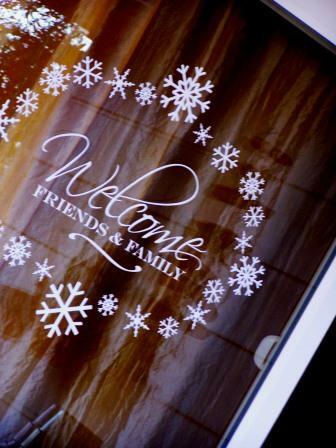 The vinyl is pretty and makes a lovely way to welcome guests. A fun and affordable idea you can do for all of your parties! disclosure: some items provided by The DIY Club. See my full disclosure in the top navigation bar. Looks great! What a nice way to welcome guests! Too great! And what a smart boy you have there. 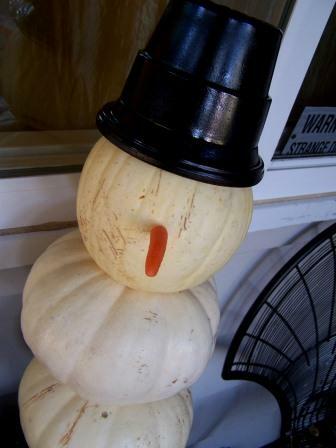 :> Love the pumpkin snowman too....wish I would have thought of that - instead of throwing several small pumpkins into the yard waste just before Christmas. Ack! I like it alot. Gives me an idea for our windows over the flower boxes. You always have the best ideas Holly. I love this! Your welcome window is brilliant. I can't wait to try it out in our home. That is so cute Holly!! I love the little snowflakes and that you can easily change it out!!! It looks super cute with your little snowman too!